Dr. Hali Kaufman has been a dentist for nearly 30 years and still finds it a truly rewarding and satisfying profession. She feels tremendously gratified to know she is improving her patients’ lives and health. Dr. Kaufman feels lucky to be able to meet so many wonderful people, and to be part of such a great community. She has always loved being a dentist, and helping people smile the way they want to smile. Dr. Kaufman received her undergraduate degree from Brandeis University and graduated with a Doctorate of Dental Medicine from Tufts University. After that, Dr. Kaufman began practicing in Newport, where she opened an office and lived for 13 years. She came to Providence after selling that practice and moving upstate, and has been a doctor with this practice for 17 years. Dr. Kaufman is passionate about staying active in her profession. She always looks to further her knowledge through continuing education in order to stay up to date with the latest procedures and materials. 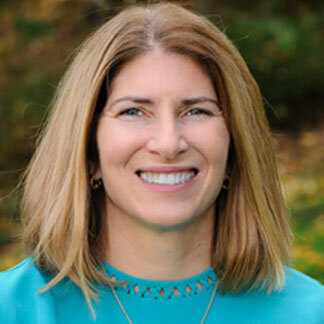 Dr. Kaufman is a member of the American Dental Association, the Academy of General Dentistry, the Pierre Fauchard Honor Society, and the Rhode Island Dental Association, for which she has served on various committees. Dr. Kaufman grew up on Long Island, and moved to Rhode Island in 1988. She and her husband Mike now live in Lincoln. They enjoy the outdoors and try to stay active. Both are avid nature photographers and many of Dr. Kaufman’s pictures can be seen on the computers and the walls in our office.